After graduating from high school, there are many avenues that students take, as shown in this graph. For instance, 21% go straight into the workforce. 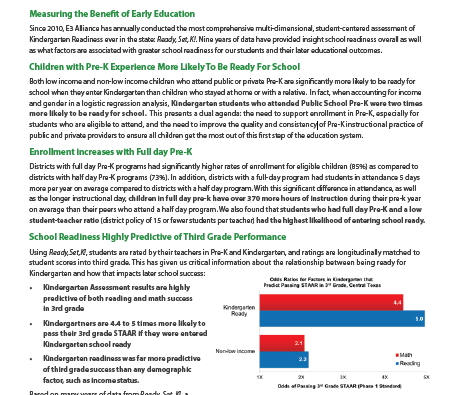 Also, more than two-thirds – 69% – of graduates enroll in higher education. 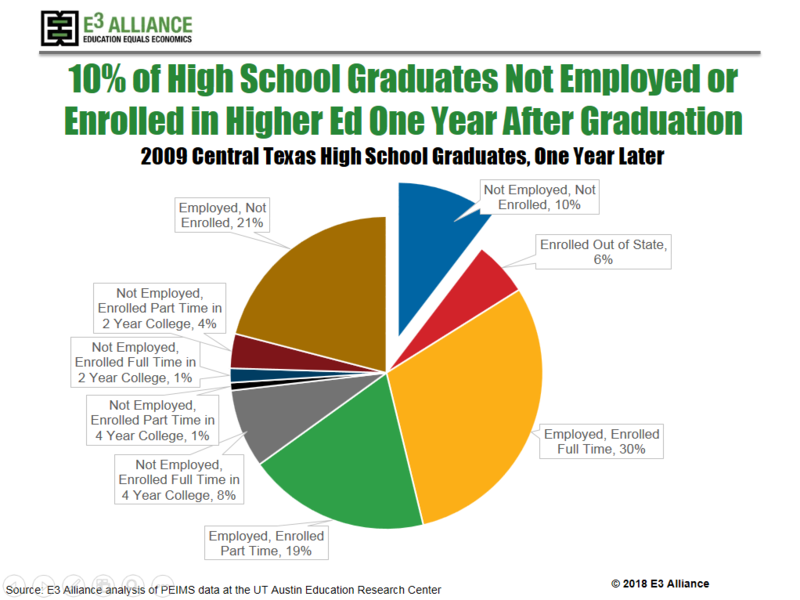 Most are full-time students and most are employed while in higher education. 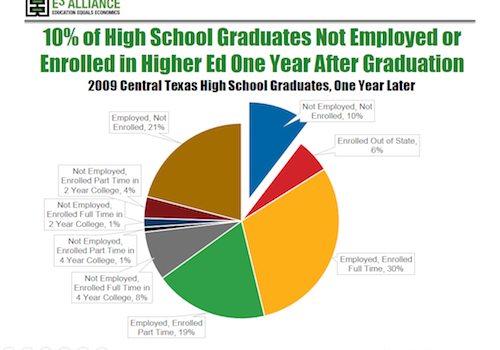 However, 10% of high school graduates are neither employed nor enrolled during their first year after graduation. These youth are often called “opportunity youth.” These young men and women represent an opportunity for support, through programs that help them find work and enroll in higher education. Interestingly, there are more opportunity youth (10%) than students who might be thought of as “traditional” college students: those enrolled in a four-year institution of higher education and not employed (9%).